The BikeSafeUSC website is intended to provide a resource for all cyclists in the area surrounding the University of Southern California. 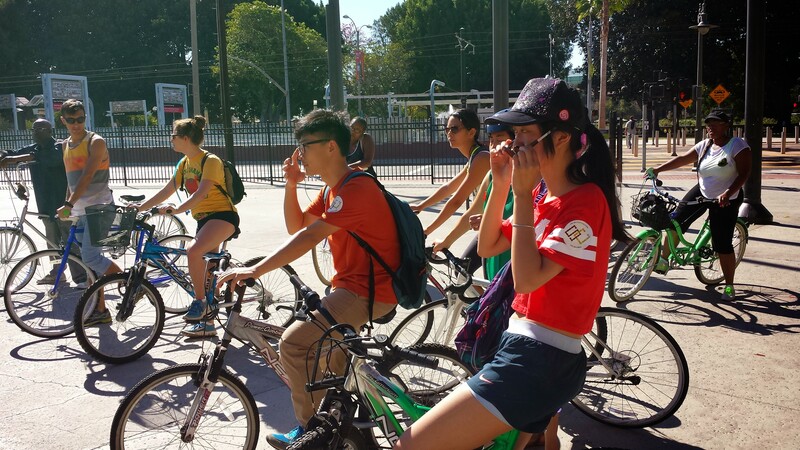 As a campus which accommodates between 9,000 and 15,000 cyclists a day, the compact Los Angeles campus and its neighborhood serves a LOT of cyclists. New bicycle improvements, Metro light rail service, and education programs are becoming available for cyclists using the University area to get around. BikeSafeUSC is intended to provide a clearinghouse of useful information intended to promote safer cycling for both community and campus.